How to Report a Pothole in Indianapolis | ACI ASPHALT & CONCRETE INC.
← Why Are There So Many Potholes Right Now? Potholes are a drag. Not only do they force us to drive defensively and avoid certain roadways (even though they are the faster route), they also have the potential to cause vehicular damage and car accidents. Furthermore, they lower the aesthetic appeal of a property, and can pose certain premise liability risks. There are even more reasons why potholes are not something you want in your way, whether you are a driver, property owner, or pedestrian. Potholes are not something you should have to deal with, which is why the city provides several portals and resources to report potholes that go on neglected. 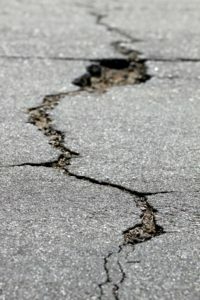 Continue reading to learn 3 simple ways to report a pothole in your town, and who to consult for trusted paving repair in Indianapolis. Requestindy is a local online portal that allows users to make new requests, check status updates, watch help videos, and more. There is also a RequestIndy Mobile for smartphones. When making a pothole repair request, be sure you have the address or closest intersection of pothole. Another terrific and effective resource available to you is the Mayor’s Action Center. The online portal allows users to get getting free information, provide citizen feedback, and request city services like pothole repair. Users can also report everything from missed trash collections and abandoned vehicles to defective traffic signals, zoning violations, and more. You can also contact them directly at 1-855-463-6848 or 1-317-327-4MAC. For highways and interstates, pothole and road damage repair requests are filed through the Indiana Department of Transportation (INDOT). You can make free requests or reports concerns, 24 hours a day and 7 days a week on their INDOT Service Website. You can also contact them directly at 1-855-INDOT4U (463-6848). Have ready the county, state road number, the mile marker or nearest cross road, the lane where the damage is located, and mile marker or nearest cross road. Use the Indy Pothole Viewer to find potholes near you! 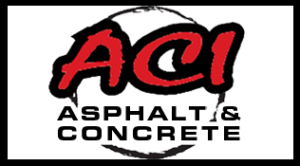 Call ACI Asphalt and Concrete Inc. at 317-549-1833 for asphalt and concrete paving services in Indianapolis, Indiana. Our licensed contractors provide several commercial and industrial paving services, including pavement repair, sealcoating, road work, commercial paving, industrial paving, and more. Request a free estimate, today! This entry was posted in Asphalt and Concrete, Pot Holes and tagged Indianapolis asphalt and concrete paving, Indianapolis Pothole Locator, Indianapolis pothole repair, INDOT pohole report, Mayor’s Action Center, report a pothole, report potholes, Requestindy. Bookmark the permalink.